January 25th marks three years since Egypt’s revolutionary uprisings ended the rule of Mubarak. Today on four continents protests are happening in solidarity with Egypt’s revolutionaries. 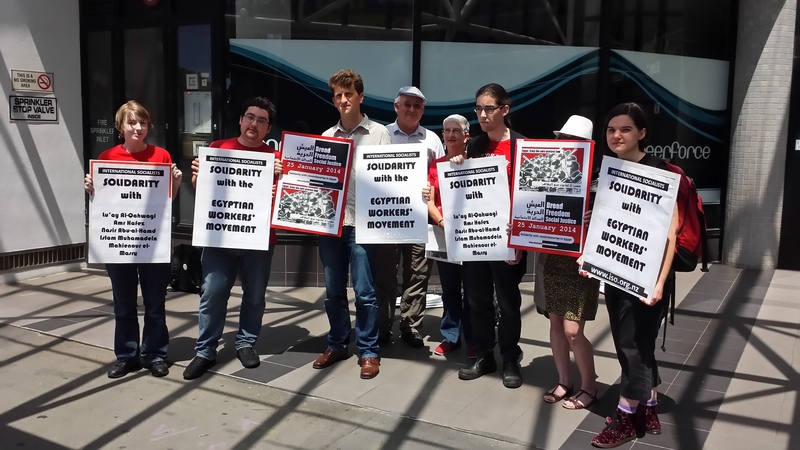 We initiated a symbolic picket in Wellington today to link Aotearoa with this global solidarity, and were joined by local anarchists and supporters of the International Bolshevik Tendency. Our rally was also in support of activists in Alexandria facing repression for defying Egypt’s new anti-protest laws, including members of Egypt’s Revolutionary Socialists. 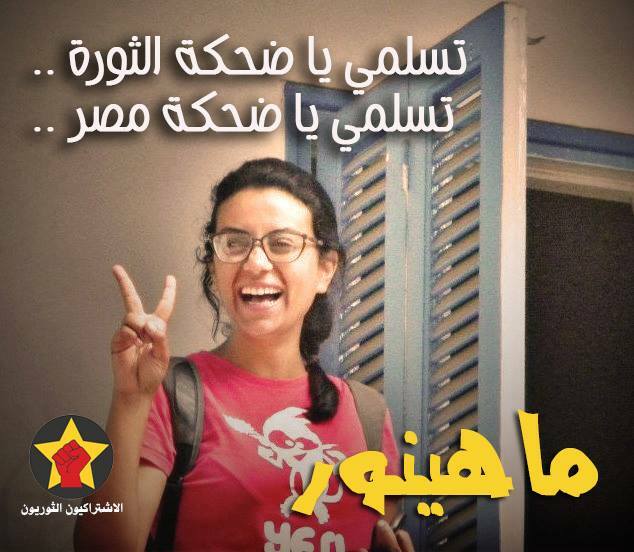 We stand with Egyptian activists who have been shot at, assaulted, arrested and imprisoned for defying the new ‘anti-protest’ laws and the military’s brutal clampdown. We stand with Egyptian workers occupying their factories to demand the right to work, like the steel workers of Helwan. We stand with all Egyptians who have organised strikes and protests to demand decent pay and dignity at work. We stand with Egypt’s healthworkers, teachers, civil servants and transport workers who are resisting privatisation and austerity to defend public services for all. « Korean Railway Strike – What’s at Stake?